Kerala is also famous for the beautiful hills and some of the hills which are the adventurous one in Kerala includes the Munar Hills, Thekaddy Hills, Vagamon Hills, Ponmudi Hills, Lakkidi Hills, and many others. 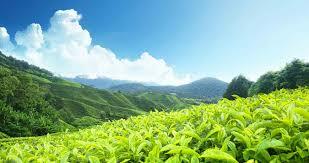 The beautiful sceneries and the greenery attract the tourists and liked them a lot. It will be surely a good holiday this time to choose Kerala as the vacation point in upcoming summers, the landscapes are really amazing and the combination of natural beauty in Kerala is really amazing. So you sure want to be a part of it. 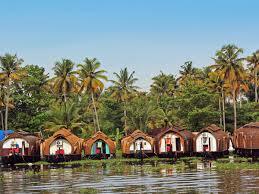 we will Start from Cochin and reaches Munnar by afternoon. On the way visit Valara waterfalls, Kodanadu elephant care center, Cheyyara waterfalls, Attukadu waterfalls, Spice plantations etc. After sightseeing, we will come back to the hotel and stay overnight. we will Sightseeing destinations includes spice plantation, rose garden, photo point, honey bee tree, tea museum, blossom park, Eravikulam national park (Raja Malai), mattupetty dam, tea estates, eco-point, kundalini dam and top station. You can also enjoy boating in the Lake, rock climbing, trekking (optional) Then we will come back at the hotel and stay overnight at Munnar. we will Drive to Cochin for Cochin sightseeing includes fort cochin, navy museum, Mattancherry Palace, Jewish synagogue, Marian drive, St. Francis church, Chinese fishing net, Santa clause basilica, Marine walkway boating, Tripunitura hill palace. You can find some time for shopping at Coaching. After enjoying the marketing our representative will leave you at Cochin Airport/Railway station/Bus stand and will do needed support there. 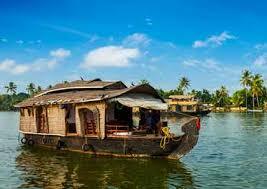 Drive back to your hometown with the sweet memories of Best Kerala Tour Package with credence travel.